Alanna Savage is a Senior Communications Specialist for the FCI Program of Management Sciences for Health (MSH) and Andrew Gaydos is a Project Support Associate at MSH. In our ambitious vision to reach all people, everywhere, it is ever more necessary to examine the varying life experiences–the actual realities–of the people whose health we work to improve. Part of this examination requires a critical look at how gender plays out in the power structures of society, the daily lives of people, and more concretely, in the “who, what, where, when, and how” of health-seeking behavior and access to essential reproductive and maternal health care. Maternal mortality in Mali remains high–587 women die for every 100,000 live births–but only 28 percent of sexually active women of reproductive have satisfied their demand for family planning. Women and girls continue to confront widespread sexual and gender-based violence, including female genital mutilation/cutting (FGM/C); in 2015, about 126,000 women and girls received prevention services, protection, and care related to FGM/C. And thanks to the work of the FCI Program of MSH, traditional and faith leaders are advocating for family planning and coming together to provide support to survivors of gender-based violence and to identify early warning signs of imminent violence. Gender inequality undoubtedly plays a role in high maternal mortality and unmet need for family planning and the continuance of sexual and gender-based violence. As long as women and girls must continue to fight for equal voice and an equal share of opportunity and power, their lives and health will remain under threat. Gender influences health outcomes, access to care, providers’ treatment of patients, relationships among health workers and supervisors, and health career barriers and opportunities. 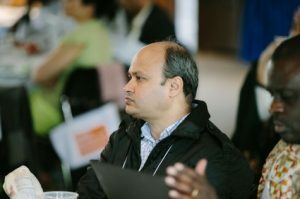 In July 2016, global leaders gathered for the second annual Safe Mothers and Newborns Leadership Workshop (SMNLW) hosted by the Maternal Health Task Force (MHTF) in partnership with the Barcelona Institute for Global Health (ISGlobal) and The Aga Kahn University and sponsored by the Bill & Melinda Gates Foundation. The participants represented 26 countries from five continents.